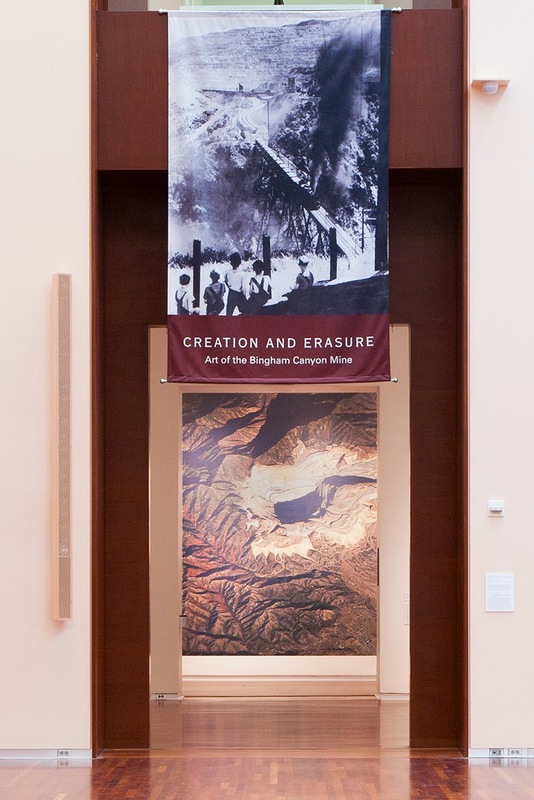 We have a new exhibition at my Museum right now called Creation and Erasure: Art of the Bingham Canyon Mine. 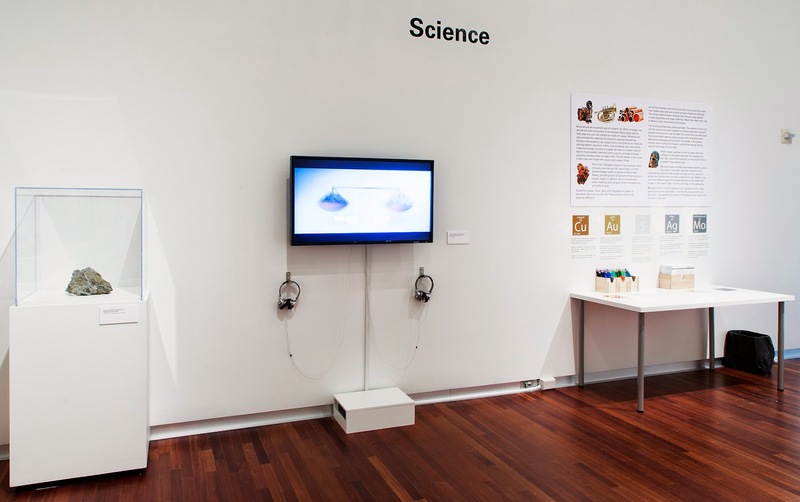 I was in charge of the community programming for this exhibition including the interactive space within the exhibit. Which means that I have spent the last six months embroiled in all things copper mine. The exhibition itself is really beautiful. 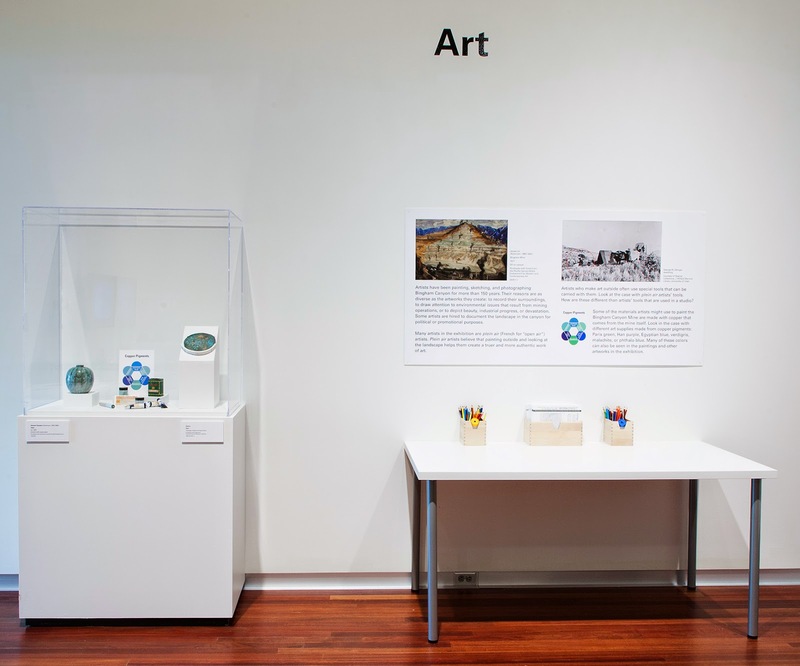 From early documentary photographs to current critical art, the inspiration of this mine for artists (including big-time artists like Ansel Adams and Robert Smithson) is amazing. 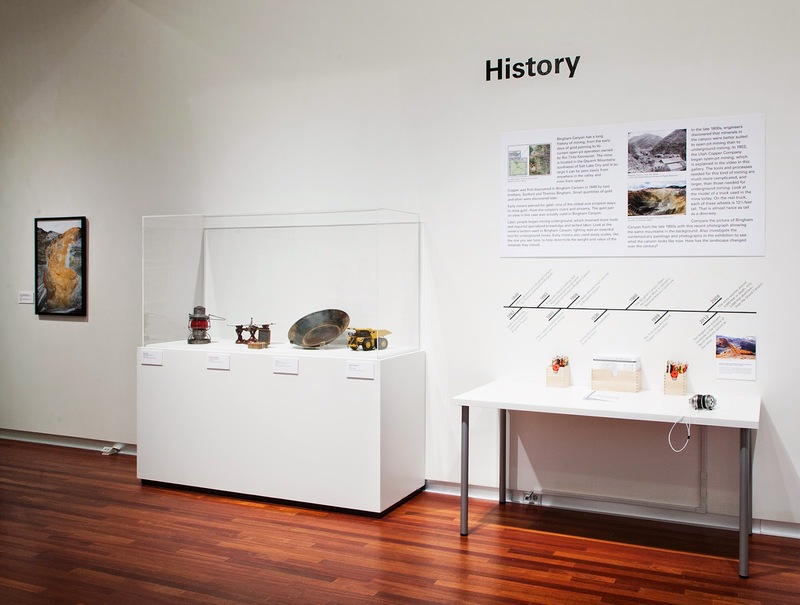 And I had a lot of fun making the interactives - you can explore the art, history and science of the mine, or even draw your own landscape. 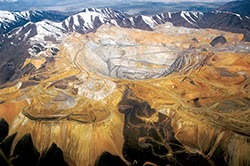 Bingham Canyon Mine is the largest open pit copper mine in the world. It is located in the Oquirrh Mountains by Salt Lake City, Utah and can be seen from anywhere is the valley. And even from space (well everything can be seen from space now) but it is said that if you were to take a trip to Mars, the last man-made thing you would see with your naked eye would be the Bingham Canyon Mine. Now called Kennecott Copper Mine, the mine has been in existence for over 150 years. It produces 300,000 tons of copper per year, providing 13% of the US copper needs and 33% of the valley’s pollution. Although it is an eyesore (it basically destroyed a mountain) and it does pollute quite a lot, I am aware that copper is a necessity in today’s world. I wouldn’t be blogging without copper in my computer and cell phone. And I wouldn’t be able to create without it. 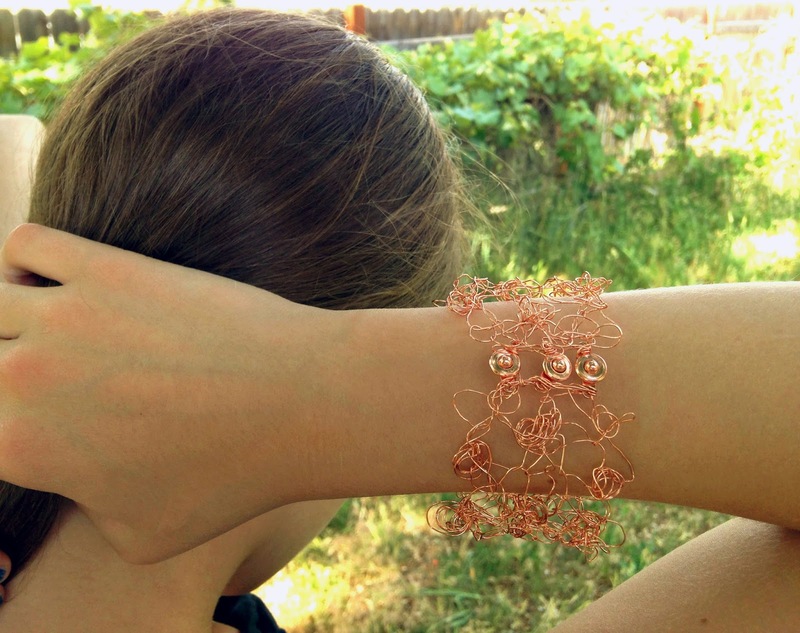 A year or so ago, I created a cuff knit with copper wire inspired by the town of Lark that was destroyed when the mine became too large. With my mind in all things copper over the last few months, I have been dreaming of making something with copper again. But, I want to experiment more with leafing. If you remember the Silver Queen Handkerchief that I silver leafed and submitted to an exhibition. In that piece I was looking for a very flakey, loose leafing for an effect. But I have been thinking that if I use a different glue, I might be able to get a better leafing that can be worn. I will begin some experimentation and see what happens. But, if you are in Salt Lake City this summer, it is worth a trip to come see the exhibition.